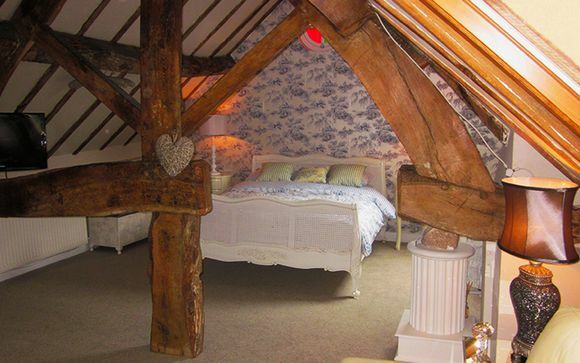 Wollastone Lodge is a boutique B&B with elgeant yet comfrotable furnishings in the Shropshire countryside, on the Welsh border. This 18th century lodge is set within Italianate gardens, situated between the Historic Market town of Shrewsbury and Welshpool, its elevated position allows breathtaking views across the valley. The perfect bolt hole for a relaxing break, explore the local area, or venture further afield to mid Wales, Snowdonia, and the coast. Wollaston Lodge is situated in the hamlet of Wollaston on the border of Wales. From here you can explore the nearby market town of Shrewsbury - a medieval paradise of cobbled alleyways, bars, restaurants and independent shops, all next to the lovely River Severn. Head south to walk the hills of Church Stretton, or carry on a little further south for the gastronomic delights of Ludlow. Due West to Mid Wales and Snowdonia National Park - some of the most spectacular landscape you will ever see. Or, carry on West to the lovely coastal villages of Aberdovey, Abersoc and Portmeirion. Guests of Wollaston Lodge can enjoy specially negotiated discounts at numerous local outlets - simply pick up the discount cards when you check in. They can also provide you with a map and all the places of interest as well as lots of local knowledge. Elegant yet relaxed, Wollaston Lodge is the perfect bolthole for a country weekend away this Autumn or Winter. 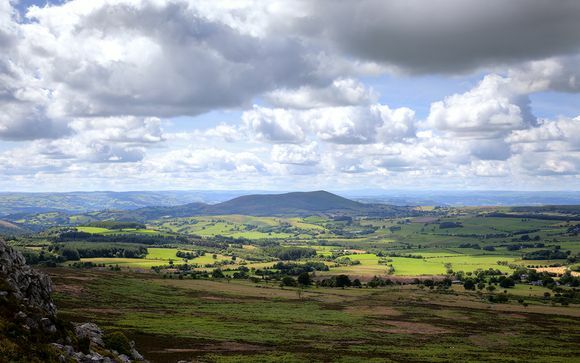 Surrounded on all sides by the rolling Shropshire hills, the views from this property are spectacular. The owners have lived here for 15 years and are clearly immensely proud of it, welcoming all guests to a truly, personal "home from home" experience. Fully renovated in 2012, this traditional Victorian Rectory is surrounded by beautiful Italianate gardens, which make a beautiful spot for a sunny afternoon tea, if the weather is on your side. 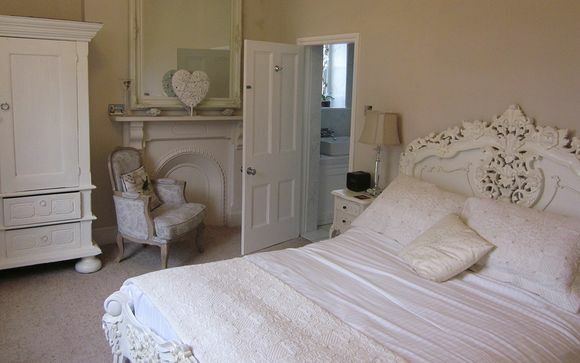 Cosy rooms, fantastic homemade food and a resident husky equal the perfect recipe for a relaxed, romantic escape! This offer is based on a Kingsize Room or a Coach Room. These rooms are individually styled at Wollaston Lodge, and every one has its own charm, be it a four poster bed, or beautiful south facing views. All rooms are equipped with a private bathroom, flat screen 32” digital TV with DVD player, ipod docking station, radio alarm, free wifi and tea making facilities. This two storey coaching house, is attached to the main house but also entirely independent. Upstairs has a king size bed and a very comfortable lounge area under the original beams with a large comfy sofa, flat screen tv, ipod docking station and free wifi. Downstairs has two very comfortable single beds (the room with the single beds in needs to be passed through to get to the upstairs). The Coach House also has a bathroom with roll top bath and walk in shower. 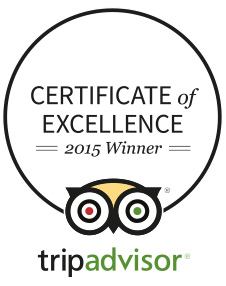 Just for you: a bottle of Prosecco or a bottle of red or a bottle of white wine and a cream tea for two on one day. Enjoy a Full English Breakfast each day of your stay, to set you up for a day of exploring, walking and sightseeing around Shropshire. Lighter options include homemade muesli, freshly baked bread, yogurt and fruit. After a day out in the fresh air, return to homemade cakes and pots of steaming tea, enjoyed in a sunny spot in the garden, in the warm Orangery or by the fireside in the lounge. Head towards Shrewsbury. Follow the ring road until the junction with the A458 signposted Mid Wales and Welshpool. Travel along this road for eight miles, past a layby on the left and then a cattery and kennels on the left. Take the next right hand turn signposted Wollaston and Bulthy. 200 metres on the left you will find Wollaston Lodge. From Welshpool, take the A458 towards Shrewsbury. 8 miles out, you will start rising over the “7 sisters” these are undulations in the road and a local landmark. 1 mile after these turn left at the sign for Wollaston and Bulthy. 200 metres on the left you will find Wollaston Lodge. The closest stations are Shrewsbury or Welshpool, both are a short taxi ride away. Alternatively, the owners of Wollaston Lodge may be able to collect you subject to prior arrangement. We do recommend, however, that you have a car for your stay as this is a remote countryside location.